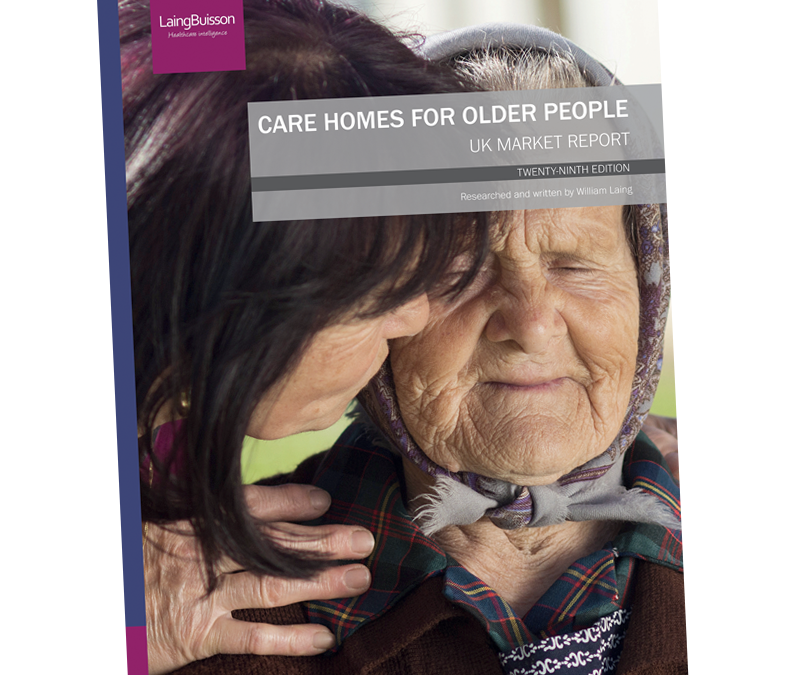 The 29th edition of LaingBuisson’s market-defining report, Care Homes for Older People has been launched today. 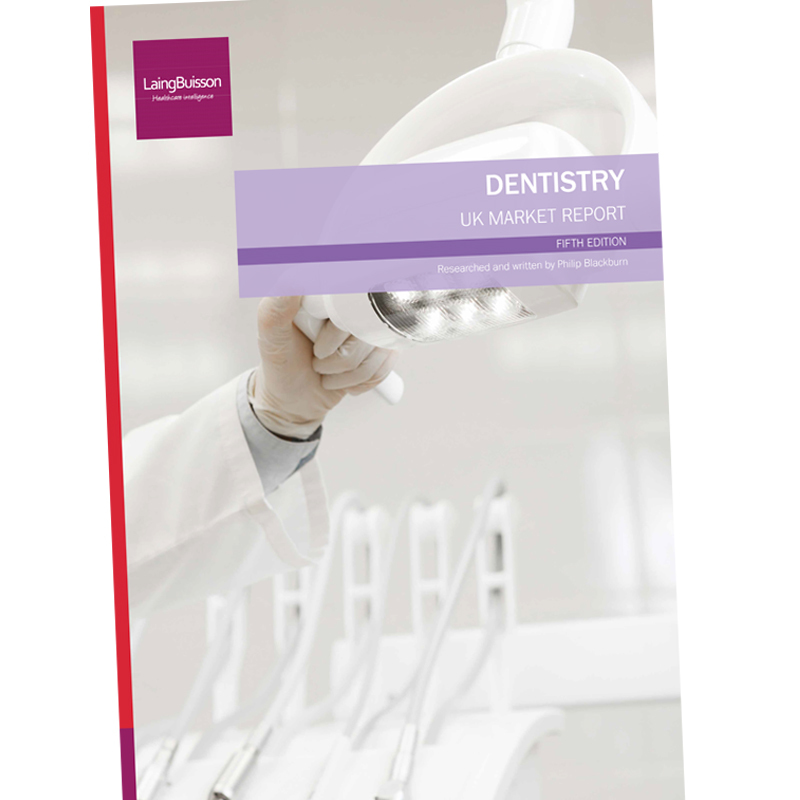 The report finds that the market continues to grow by about 3% per annum (nominal), driven by cost inflation, and was worth £16.9 billion in the year to March 2018. New information from CQC reports has led to a reappraisal of the impending ‘care home crisis’. 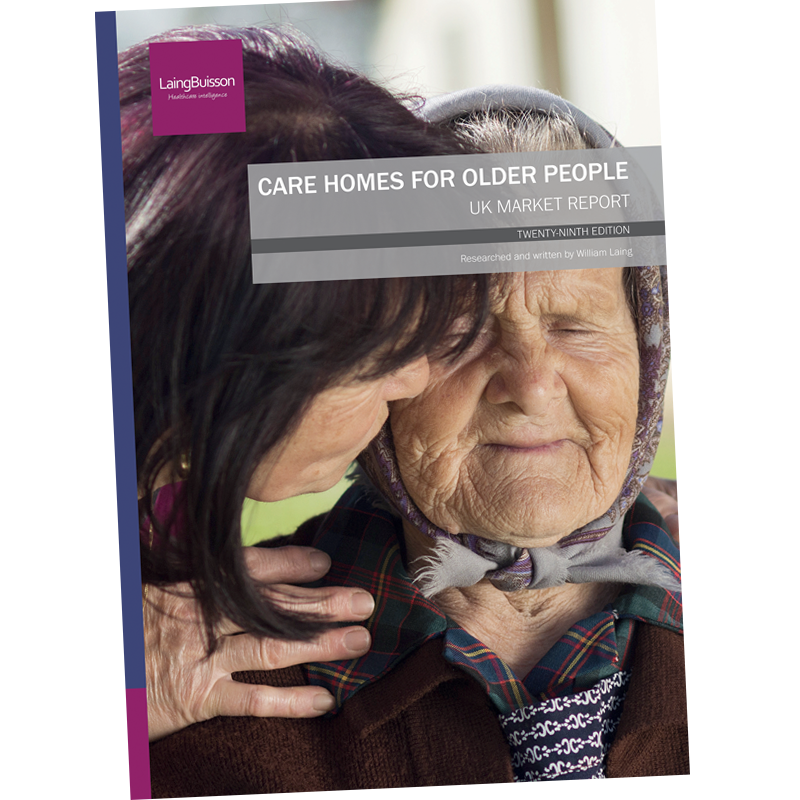 LaingBuisson has collated and analysed the data from individual care home reports and these show that overall occupancy of care homes is lower than previously thought, at about 85% when measured as occupied beds as a percentage of registered beds. “If the new information is correct, and we have no reason to doubt that it is, it sheds a whole new light on the balance between demand and supply for care homes. Derived from CQC inspection reports, it shows that the aggregate numbers of residents as a percentage of registered beds are, at 85%, much lower than the widely accepted occupancy benchmark of about 90%. At the same time, there seems to be a lot more ‘latent provision’ – mothballed capacity where the care home provider has chosen not to admit residents to full capacity, for example because they don’t want to incur additional staff or other costs. It also casts a new complexion on the impact of openings and closures and, in addition, there appears to have been a reversal in recent trends in the year to March 2018. During this period, net capacity has risen by around 900 beds, with a greater part of this gain coming in registered nursing homes, allaying fears that capacity is being lost. A key determinant of the market remains the balance between state-pay and self-pay clients. Where state-pay prevails, there continues to be significant pressure on providers’ prices and margins from council and CCG commissioners, putting into question the sustainability of the model. Where self-pay prevails, the sector remains robust and the private pay funding model, based on liquidation of owner-occupied property value looks likely to remain sustainable for at least the next three decades, so long as there is no collapse in property values. The importance of this to the market as a whole is reflected in the fees paid by ‘pure’ self-payers who account for 52% of the market by value but only 45% by volume. 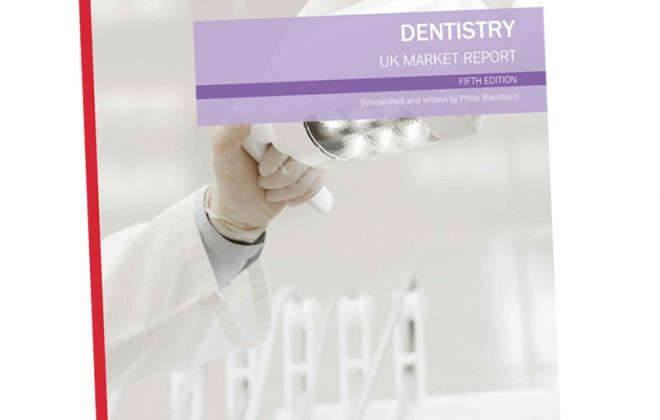 To find out more visit the report listing.